San Telmo is a haven for vintage treasures. Up three flights of stairs in a characterful apartment on one of my favourite streets, Avenida Caseros, is the showroom of El Almacén de Lulú. It offers a wonderful collection of vintage clothing and accessories. It’s my go-to place for a party dress. Argentina is famous for it. I love Las Cabrera, a brand founded by three sisters. Inspired by childhood summers spent in the countryside surrounded by cows and gauchos, their collection includes rustic-chic leather bags and wallets. It’s sold exclusively from one sister’s stylish apartment in elegant Recoleta, close to one of the city’s must-sees, La Recoleta Cemetery. ...especially around the hip streets of Palermo. You can take home your own piece of urban art from the Galeria UNION in Palermo Hollywood. It showcases the works of local street artists, including the colourful, multi-layered stencil collages of Cabaio, whose Chairman Mao murals are a familiar sight around the city. 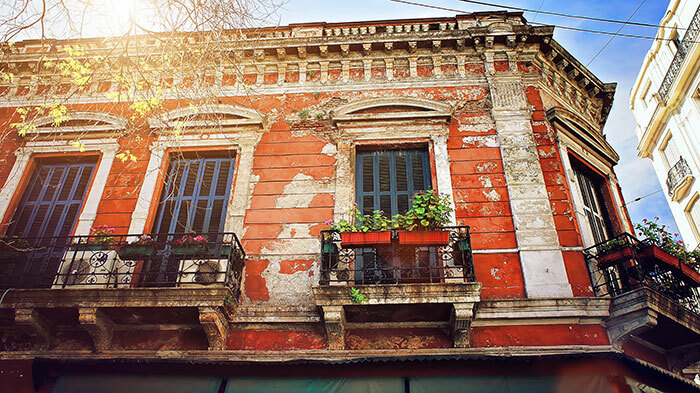 Next to Palermo Hollywood is the peaceful Colegiales district, featuring tree-lined streets and intriguing old houses. Many designers have their workshops here, including sociologist-turned-jewellery designer Paula Pereiro. She crafts modern, wearable pieces from brass, sterling silver and local alpaca silver, selling them from a charming little atelier. For me, the best way to finish a day of shopping is with a glass of velvety Malbec. One of my preferred spots for a glass of vino and a traditional picada of artisan cheeses and meats is Hache Almacén, an unassuming little wine bar and shop run by the friendly and knowledgeable Nicolas Hurtak. 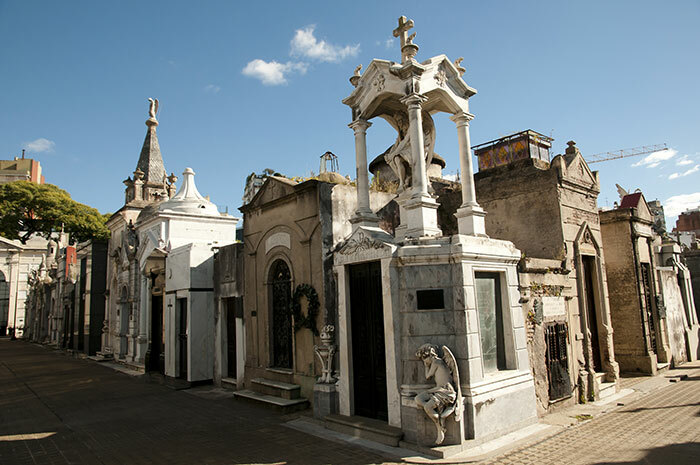 Fly direct to Buenos Aires with British Airways from £929pp return, or why not chat to one of our Travel Experts about tailor making your holiday to Argentina?